The MAF Marathon is progressing well with our current total standing at 336 miles run by all the participants (almost 13 full marathons). Saturday morning was the celebrity run and our celebrity this week was none other than Dr David Mills (on the far right below). The Department is comprised of Engineering Admin, Maintenance Control, Spare parts (aviation store), Avionics, Hangar (maintenance), Component shop and Training. There are 25 staff working in this department, 5 international staff and 19 national staff. 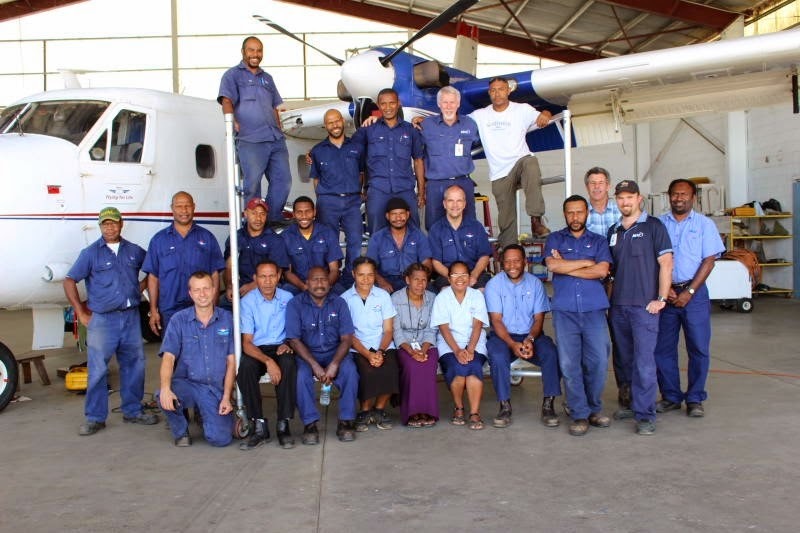 The big news for October was that MAF PNG got the approval from CASA Australia and CASA PNG to run CASA engineering exams in Mount Hagen again. For many years engineers have been flying to Port Moresby to sit exams, which comes at a significant cost to MAF and the individuals as it is a shared cost. On October 14 to 16 we had a CASA PNG Exam invigilator come to Hagen for three days to supervise exams, which is much more convenient and will save a great deal of time and money. CASA exams prepared by CASA Australia and invigilate by CASA PNG, are one of the requirements for engineers in obtaining their AME Licenses. There are different topics such as airframe, engine, electrical, instrument and radio. Please pray for our engineering team who daily perform maintenance on our fleet to keep our operations safe. Our planes need regularly maintenance and get inspected every 100 hours on their engines. Pray for an increase of engineers coming to MAF to keep abreast with the expected increase in flying hours next year. For every person in the spotlight there are usually two support people to make it happen. MAF is no different. Our support departments include Finance, Human Resources, Administration, Property & Vehicles, and Information Technology. Altogether this covers 5 expats and 27 national employees. The Finance Dept manager makes sure that the money coming in from overseas is well managed while the operational financial systems are also running well. He is responsible for the production of all the monthly statistics with annual and monthly comparisons. The topics covered include Financial income and expenses, aircraft hours and performance, types of flights, (medical, educational, ministry, etc), Safety stats, wages, indexation, fuel purchases and usage, freight & charter rates, asset purchases and capital projects, aircraft stock control, and many more like international monetary investments. The Human Resources Manager is responsible for everything involved in looking after our people, both International and National staff. The function of his Department is to manage the policies and systems relating to the employment of staff. This involves recruitment, terms & conditions of employment, staff housing and well-being, reviews, induction training, working with the Dept of Labour and Dept of Immigration ensuring the regulations are complied with as well. The Admin Dept’s primary role is to ensure that all administrative matters including IT, P&V, Legal Services, Insurance, Public Relations and administration-related work is met. That also includes admin support for the Financial Dept with staff repayment schemes and authorisation of employee loans. The Property and Vehicles Dept is responsible for the building and construction of all new buildings, the maintenance of all MAF’s residences and offices and the wise planning of timely attention to all facilities. Currently the department is working in difficult circumstances without the P&V Manager, and being short of two carpenters, but they do a great job keeping the buildings and vehicles in good working order. In similar fashion the IT Dept is working under sufferance. We are hoping to recruit both an IT Manager and IT Officer to keep the network and internet platform stable and progressive for all staff to use trouble-free computer systems. - Give thanks for the good number of new personnel lined up for PNG and for others in the pipeline. Give thanks especially for new pilots. - Pray for these new people as they prepare to come, and pray urgently for new experienced aircraft engineers, and to fill the other vacancies in the Support Dept - I.T. Manager and Assistant IT Officer, Finance Office Manager and two carpenters. - Pray for the Finance Dept which has suffered greatly in the last 12 months with staff who have had 5 deaths in their families, and the Office Manager suffering a debilitating stroke several weeks ago. - Pray for Carpenter Foreman – Nelson Nuleya & family that they settle well after Nelson retires at the end of this year. - Pray that The Lands & Physical Planning Department renew our Wewak & Goroka Land Titles. The Lands Board has met but we are waiting for the results. - As we look forward to Christmas, pray for safety and security during the festive season. - Pray for funding for the planned new MAF terminal building where staff can be housed to help eliminate the office shortage. The Management of MAF PNG, although not a Department, has a wide range of responsibilities in two key areas. ‘Management’ consists of the wider group of managers who either manage a department of people, like Engineering, Operations or Property Maintenance, or are managers of important functions like Safety, Quality, and Maintenance Control, which don’t have many people. 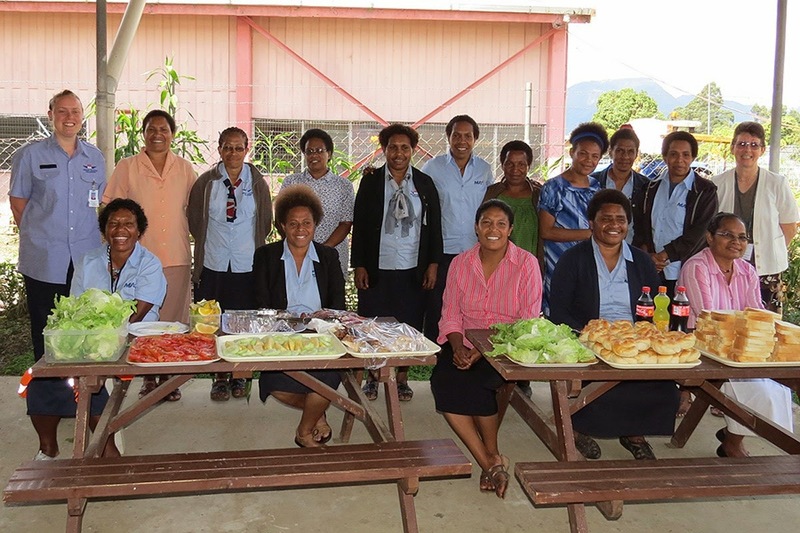 Training & Checking Manager, Human Resources, Administration, Engineering, All Managers work to ensure their department and activities help to achieve the MAF PNG ministry plan and objectives. Some are also responsible for making sure we meet the MAF and Civil Aviation regulations in our flying, maintenance or ground support work. MAF PNG also has an Operations Director. This is a new role which has delegated authority and responsibility for these “regulated” areas. The Programme Manager is the “responsible person” legally, for the MAF PNG Programme’s safe overall operation, but is also the person who is accountable to MAF International’s leadership, and ultimately the MAF I Board. MAF PNG also has its own Board of Governors who help provide direction and wisdom for MAF PNG. - Pray for the engagement with our mission and church partners in order to more effectively focus our ministry and resource use. - Pray for planning decisions which are going to be important in effecting greater capacity in staff and efficiency in our operations. - Pray for unity of purpose and vision and for ears to hear God’s leading. 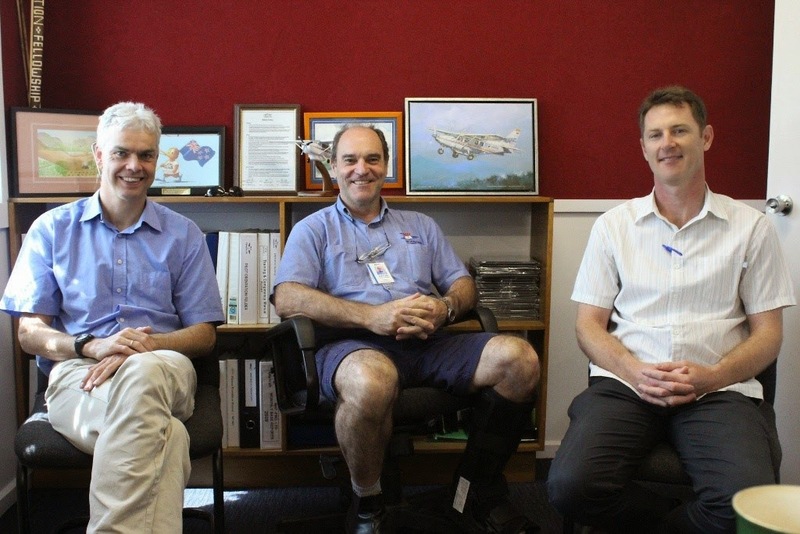 MAF has been training pilots in Australia for more than 50 years. 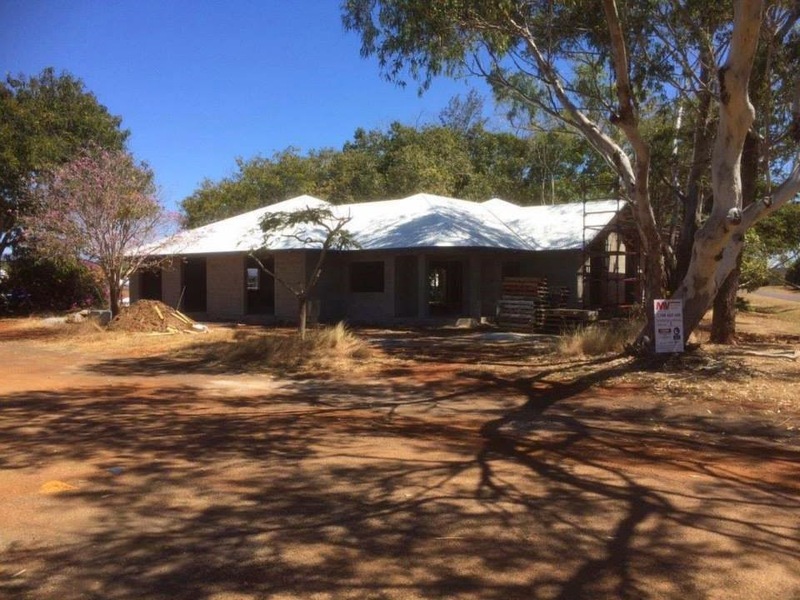 Thanks to the incredible generosity of our supporters, the new MAF Flight Training Centre is well on its way to being built for the Training Centre to move from Coldstream near Melbourne, Victoria to Mareeba, Queensland. The Flight Training Centre at Mareeba will give pilots a chance to hone their skills on short difficult strips, navigate mountainous jungle and cope with conditions typical of flying on the mission field. Other initiatives include: standardization of MAF International’s pilots for field service, MAF instructor pilot training, and technical evaluation of applicants for MAF’s unique mission. After a 16-month course, pilots will graduate with around 200 hours of aeronautical experience based on the unique nature of MAF missions. The building will house flight instructors, students, two lecture rooms, a motion flight-simulator, lounge and bathroom facilities, study and briefing rooms and an operations room to support aircraft movements and flight scheduling. - that the building will go according to plan and will be finished on time. - that the whole packing up of the FTC in Coldstream can be achieved without too much stress or time. - Chief Flying Instructor Marcus Grey and his wife Julie begin their journey up to Mareeba in January 2015. - for safety for their travels and a time of rest along the way. - for Flight Instructor Rick Velvin and his wife Lauryn who have relocated to Cairns/Mareeba to assist with the new FTC. MAF began to do something about it. Last week MAF Madagascar held their 25th year anniversary party, which went really well. Program Manager Bert van den Bosch said “The anniversary has been great. We feel as a team very blessed with the event. God has done great things with us and we are filled with joy!" The same time he asks to pray for the success of the forthcoming conference on December 10th that is being organised by MAF and is seeking to bring together other NGOs and organisations to see how, as a team, isolated communities can be best served. Because of passionate people supporting, praying and serving MAF Madagascar, we can tell of the amazing ways God has used MAF to bring hope and healing to the island of Madagascar. You can read about some of them HERE. But there's still much to be done. The people of Madagascar are in as much, if not greater, need than when MAF first began flying here. It's often only possible to reach the remotest places by air. We must continue to fly life-saving help. seeds of the Gospel into every corner of Madagascar.